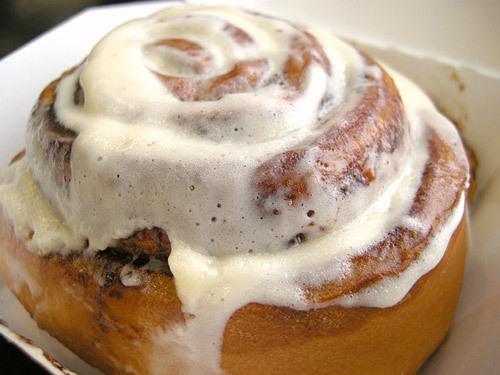 Cinnamon rolls are one of the desserts that are sold in refrigerated tins that you can unwrap and bake. The use of refrigerated dough has caused the stigma associated when attempting to make dough. In reality, cinnamon rolls can be made very easily and by topping it off with a cream cheese frosting makes a fancy roll that melts in your mouth. My friends, brave guinea pigs, have all claimed these as delicious and amazing. One went as far as stating these cinnamon rolls to be better than cookies and cupcakes. This recipe was taken off of Allrecipes.com, a 5 star recipe with over 4000 reviews! Honey I shrunk the (cup)cake! Cupcakes have started gaining spotlight in the dessert world. Following the explosion in popularity of Sprinkles Cupcakes, Cupcake Wars from Food Network continued to new fad of cupcakes. I personally love cupcakes, I think they are a great way to get a single serving of cake in. I’d like to take some time to talk about cupcakes and making them with any regular cake recipe. French Macarons seem to never leave my mind. After my original post about French Macarons I remembered one ingredient that I totally forgot to talk about: almond flour. A few people have communicated some questions about this ingredient so I decided to talk about it for a bit. Almond flour can be very difficult to find. A couple of places that would have it include Trader Joes, whole food stores, and health stores that have a gluten free section. It is commonly used in gluten free baking. I’ve actually had the fortune to find it in the baking section of my local supermarket, right below the cocoa powder is. 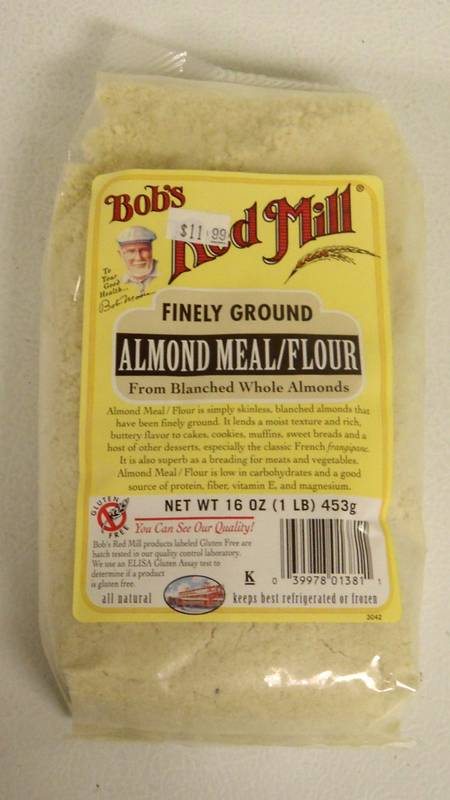 I buy Bob’s Red Mill which looks something like this. It is typically located in a section filled with Bob’s Red Mill products so it shouldn’t be too hard to locate. If all else fails, try Trader Joe’s. When my friends tried to make macarons, they attempted to break up the almonds in the food processors. After pulsing almonds in attempt to make almond, you actually get almond meal, not almond flour. Further processing this, creates almond butter instead of almond flour. The above image is from Serious eats. In the image above, the macaron on the left has little bumps which should not exist as mentioned in the blog Serious Eats. This occurs when you use either improperly processed almond meal or unsifted almond flour. If you are a coffee fan, chances are you already have the solution sitting in a cabinet. A coffee grinder is the secret tool needed to create a fine grain almond flour. In a test across blenders, food processors, mini processors and coffee grinders, coffee grinders were able to present with the finest grain without turning the almonds into mush. There is a major drawback to this solution. Being a aromatic bean, coffee has the nature of spilling its aroma onto other things. With macarons’ delicate nature, the aroma of coffee could potentially overpower the simple and elegant taste of the cookie. In addition, while the grain is fine enough to prevent small lumps on the surface of the cookie, the moisture still resides from the blanching process.Moisture makes the batter very heavy, making it difficult for feet to forming. The difference in almond meal and almond flour is in the grain size. Almond flour should have grains that are around the size of salt making it a light but fine powder. 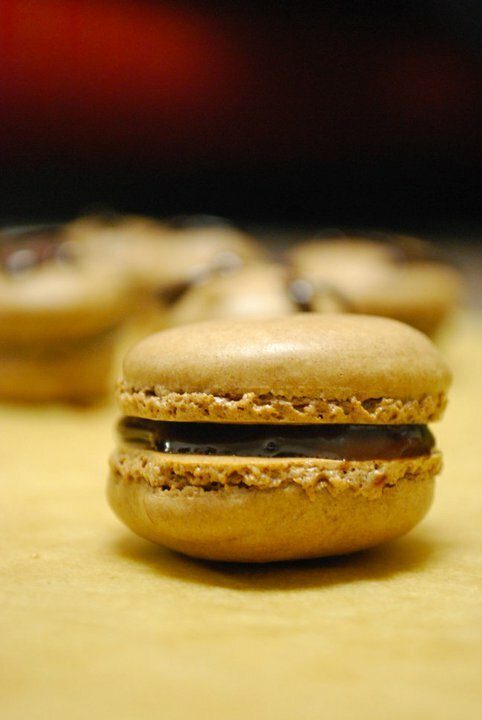 With that being said, how can one make almond flour fine enough for French macarons? My solution? Buy almond meal. Until I come across blanched almonds dry enough to make almond flour in the processor, I will settle with buying almond meal. I do not wish to make macarons that taste gritty. I also don’t want to have to buy a separate coffee grinder just for macarons. Nor do I want to deal with grinding a small handful of almonds at the time. Almond flour is expensive, about 12 bucks for less than a pound. I, however, find it only a modest investment, an investment that these elegant cookies deserve. Right before making French Macarons, I take out the needed 3/4 cup almond meal and give it a few pulses in my mini food processor/chopper. Then I proceed with the recipe. Using this, along with the other ingredients outlined in the recipe, I haven’t a problem making macarons. I wish you all the best of luck in your pursuit of macaroon making. Please leave any comments and questions below and I will do my best to answer them! Kimchi fried rice is one of my first ventures into asian cooking. For those who are afraid of the taste of kimchi, this dish a great way to break in! Cooking the kimchi removes much of the raw and earthy taste it contains, giving it a different characteristic altogether. This dish was especially welcomed during the first year of my college career. What makes it even more appealing is the flexible base that kimchi provides; its easy to modify and change this dish to your own preferences! 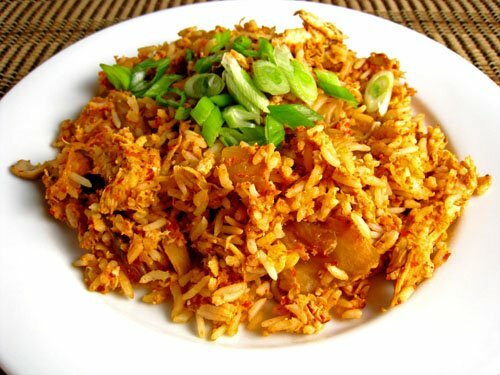 I think that kimchi fried rice is actually a very good demonstration of how asian cooking is very flexible. French macarons are little sandwich cookies commonly confused with coconut macaroons. The coconut desserts, which I am also quite fond of, has an extra “o” in spelling. French macarons are, instead, made with almond flour making them gluten free. These delightful wonders have a filling sandwiched between two cookies that have extremely thin outer crust that almost instantly breaks, and a chewy center. There are varieties such as swiss and japanese macarons which are lighter and denser respectively. For the purpose of this post, I will refer to French macarons as simply macarons. Macarons are merengue-based cookies, meaning that they are primarily egg whites by volume. In fact, beaten egg whites make up a majority of this cookie along side 3 other simple main ingredients, almond flour, powdered sugar, and casters sugar. 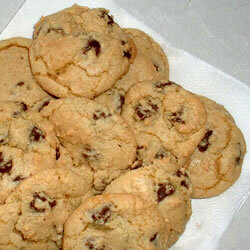 Despite the simple ingredient profile, they are known as one of the most difficult cookies to make. With careful execution, however, it is possible to have excellent and consistent results. Chocolate Chip Cookie Dough Cupcakes!